Going for a short range, regional or international trip has become more convenient aboard the SA226 Metro. This jet has a combination of interior and performance specifications to ensure you’ll have a comfy ride within the next hour or so. If you’re flying from Toronto, Canada, you can reach as far as The-Wizard-of-Oz Dorothy’s homeland at Kansas, USA. Some of the other destinations you can reach on board this plane would be Manitoba, or Florida, USA. One of the SA226’s upgraded features would be its WiFi connection. With internet access, you may get in touch with your family, friends and professional networks. If you’re traveling for business purposes, the SA226 Metro’s interconnectivity features let you read through your emails or update your cloud based documents. By the time you arrive, you’ll be relaxed and work-prepared for a conference or negotiation. 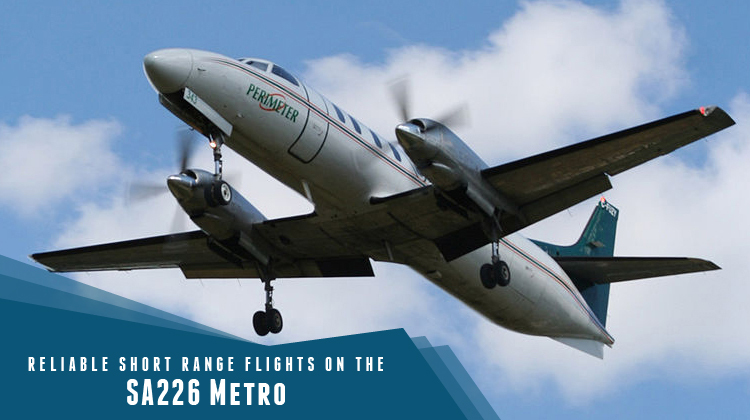 Know more about the SA226 Metro’s specifications, and be sure to book your private trip on this aircraft soon. Most of the SA226 Metro’s standard interiors include adjacent passenger seats plus a divan on the cabin’s other side. Each passenger seat can be reclined. Pull out tables may also be found for relishing snacks and enjoying drinks, as passengers enjoy aerial views from the window. The same table can also be useful as laptop platforms so you can stay on top of your projects or even take a conference call while flying. To further ensure passenger comfort, the SA226 Metro also has a lavatory at the rear of its cabin. This aircraft can also fly with stable paces within short hauled distances. Thus it’s just the fitting plane for you to reach your nearby, international getaway or regional conference. With a ceiling that’s not too high, the SA226 Metro lets you enjoy the sceneries of your flight. Your charter can hover over landscapes, mountains, bodies of water and cities. With all these views, you’ll surely experience a relaxing trip to your intended location. Will you happen to max out the range of this plane? Then it would be advisable and even safe to inquire about its allowable passenger count plus baggage weight. With a much lighter aircraft, you’ll get to reach farther destinations at the fastest pace possible. 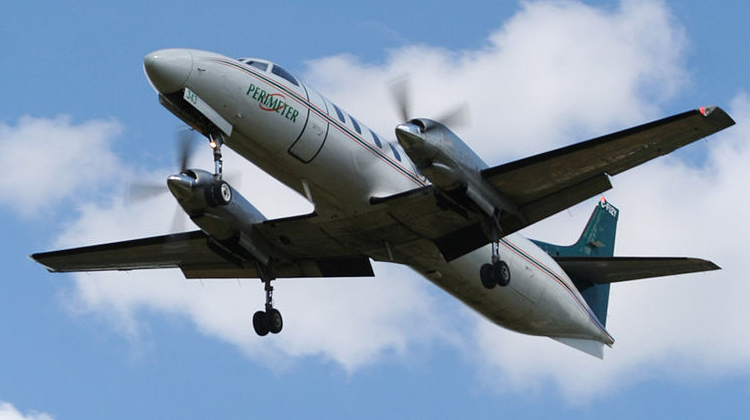 Manufactured by Fairchild Aircraft, the SA226 Metro is a major variant of the Metroliner which had its first flight in 1969. Eventually, it got introduced in 1972. The SA226 forms part of over 600 units produced and being flown all over the world. After the SA226’s 2 variants, 7 others followed under the SA227 category. It even has a military variation with components which were adjusted for specific performance applications. Today, the Metroliner series has roughly 17 operators from 9 countries such as New Zealand, Spain, Denmark, Germany and many others.